The Blues travelled to Nottingham to face league leaders Nottingham Trent only 3 days after picking up their first point of the season against Cambridge. The starting 11 included in a number of changes from the previous match, with a first start given to Lily Dubuc and Ella Vickers Strutt returning to her position as striker. Trent had the majority of possession in the first half but solid defending by the entire team and a number of saves from keeper Anna Garcia kept the league leaders from taking the lead. As well as simply keeping them out, the Blues caused Trent a number of problems going forward with good link up play between the midfield three, Dubuc and Vickers Strutt. The Blues capitalised on this, with Ella putting them ahead after 30 minutes. The remainder of the first half saw Trent continuing to dominate possession without causing any major threats on Garcia’s goal. However, Trent stepped up after the break and in the second half showed why they are unbeaten and have already been crowned champions. Trent equalised within 10 minutes of the restart and went on to score a further two in quick succession. 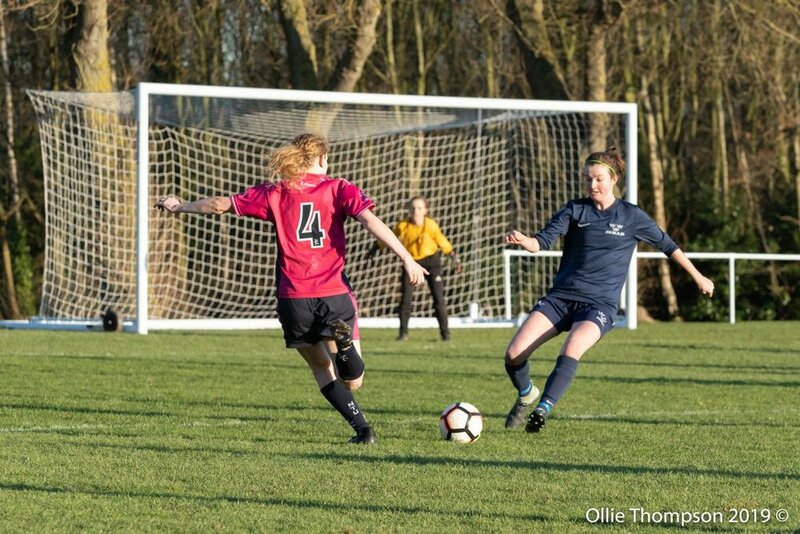 Substitutions from the Blues to bring on Emily Pressley and Lou Nolan were unable to change the game and Trent scored another 2 before full time. The game finished 5-1 and was clearly a game of two halves. The Blues will hope to maintain their first half form in their final 3 league games in the run up to varsity.